You are present on Earth at a most important time, and as Lightworkers many of you have specific roles to play to help manifest the changes. Each of you volunteered to serve the Light at such an important time, and be assured that every contribution is essential to the whole. Providing you can stay focused on your task, you will be doing your bit to help bring about the changes that are essential to manifest the Light. It is a fact that because so many individuals are helping in this way, that the dark Ones are losing their battle to maintain their rule. Although they concentrate on the larger picture, we have them under total observation and are fully aware of their plans. Our combined efforts will eventually result in a bloodless coup that will force the dark Ones to accept their defeat. They will be totally overwhelmed by the progress made by us, and we know exactly when to play our hand. The situation upon Earth is demanding a lot from you, but bear in mind that there are immense changes taking place. You may rest assured that the outcome is known by us and indeed often set up with our help. So do not be distracted by what is happening around you, knowing that a successful outcome has already been planned. We are obviously aware that the dark Ones will fight to the bitter end, but we have matters under control and we will not allow them to get out of hand. For karmic reasons we cannot interfere in some matters that have to play themselves out to clear outstanding responsibilities. As the vibrations begin to lift upon Earth some of you will find that your psychic powers increase, and that generally you are becoming more intuitive. It will help you to decide what to do when faced with a number of choices, and you will be able to go forward with confidence. Remember that we are also on hand and never far away if you require some help. However, do not try to anticipate exactly how it would be given or when, simply accept that we will do what is best for you. We have the advantage of being able to see the larger picture and act accordingly. Sometimes for example we need to introduce changes in your life, and getting them into place can be difficult. Humans seem to have a strong mindset and do not always welcome change. Time is still speeding up but you are now getting used to coping with it. It means being better organized and making full use of it. In the future you will live in an entirely different time, where the day to day chores that you now experience will no longer be necessary. Most of your needs will simply be provided by pure thought and it will be instantaneous. Even now you often unknowingly project powerful ones that do bring you the results you desire. That is why we already advise you to carefully watch your thoughts, as you have more power than you presently realise. In time you will be able to control them, and at a certain high level of vibration nothing less that positive ones would enter your mind. Already those souls on the path of Light are subconsciously or consciously working towards a condition which excludes anything of a negative nature. If what is expected of you sounds difficult or demanding, be assured that all changes will manifest when you are ready. No one will rush you into phases of upliftment until you are, and much help is always available to you. The fact that you are here at this most important time, is in itself a sufficient indication of your ability to make adequate progress Needless to say, every contribution is helping the Light to manifest and spread the knowledge that will establish the truth of your history and the future that awaits you. We have told you many times that nothing happens by chance that impacts upon your life. All happens for a reason and is intended to further your progress towards the Light. We will confirm once again that President Obama is playing a major role in bringing the Light to Earth, and in a holding position that will ensure the truth comes out. More importantly he is also playing a balancing game between the dark and Light, until the time is right for the next great step to be taken. As you must realise from past experience, we have inexhaustible patience and no move is made until the outcome can be assured. After such a long time working to turn the tide, we are not going to make any errors now that the finishing line is in sight. Your patience has worn thin at times, but we have been overjoyed at the rising levels of understanding that you have achieved. I am SaLuSa from Sirius, and pleased to tell you that we have tight control over the activities of the dark Ones. If you get the impression that we do not, be aware that by seemingly allowing them to proceed with their plan, we are setting them a trap. By the time they realise how they have been fooled, it will be too late for them to recover. Then at last we shall have the stage to ourselves and rapidly proceed with the changes that have been long awaited. It will be a most exhilarating time with great happiness and joy. We understand your anxiety at the apparent slow progress that is being made in curtailing the activities of the dark Ones. We have in fact prevented them from causing major incidents including another war, and we shall continue to restrict their opportunities to cause serious trouble. Be assured that we have matters under our control, but nevertheless have to exercise non-interference when it is necessary. We refer of course to karmic situations where lessons remain to be learnt. However, the period you have recently entered is one that will bring major changes, leading to eventual peace. We ask you therefore to think positively and envision the love and peace which is descending upon Earth. Bear in mind that we are well advanced in our efforts to contain the dark Ones, and gradually they are having to accept that they can no longer do just as they like. Indeed, they are finding it difficult to stem the change in their fortunes, and are unable to act with the freedom they once had. This is in part due to the number of people who are awakening to the Light, and leaving behind any attachment to the dark Ones activities. Although you may be unaware of it, the Light is now the dominant force upon the Earth. It will continue to be so and carry on expanding until the Light is in total control. By then a New Age will truly be upon you, and you will have been prepared to fully anticipate in it. We are guiding and giving every encouragement to Lightworkers to push ahead with their commitments, knowing that nothing can now stop their onward progress. You will of course have been aware of the potential for success before you incarnated upon Earth. Every Lightworker, who was chosen to work for the Light at this time, will have known that it was to be a special occasion and entitled to feel privileged. Be assured that you were selected because of your experience and ability to give of yourselves as required. At the same time your evolution is furthered by your new experiences, and opportunities to clear karma. Sometimes the most difficult challenges are accepted by you at such times, as with faith in your own abilities and assistance given you know that there is no reason why you should experience anything other than success. Earth is something of a showpiece at this time, and many other civilisations draw near to observe the period that you are in. The reason is because you are going to have an experience that has not happened on it during any earlier cycle. You have undertaken to ascend with your physical body, which will adapt to the higher energies. Your experience will be unique, and as you ascend you will find that your consciousness levels increase very rapidly. As you enter the higher energies you will be joined by Beings who have already ascended, and they will assist you. You are to join the Ascended Brotherhood and opportunities will given you to choose your own preferred path. At present there are many representatives on your Earth from other planets in your Solar System, and beyond. It is as you might say “all hands on deck” as the occasion calls for the most experienced Beings to ensure complete success. You will find that as you get to experience other levels of being and other civilisations, that it is normal for higher Beings to assist those below them. You Are One and help is always given to those who are also travelling your path. In fact, all paths lead back to the Godhead, and you are at liberty to experience as you choose, although at a certain level you will joyfully and willingly do the Will of God. Your World continues to experience birthing pains as the old has to be swept away to make way for the new, and as you are finding it can result in very trying times. However, these will only last for a limited period, following which you will find that everything becomes more settled. We and Beings from other planets will openly come to Earth and mix with you. We have much to impart and much to give you that will speed up your ascension to the higher levels. Be assured that you are never without help, and we are active all of the time even if you are not fully aware of our presence. We are preparing to address you on the subject of many matters that will be of importance to you in the near future. There is much that you need to keep an open mind about, as over a long period you have been deliberately mislead and misinformed to hold you back. We are in fact now doing our best to gently awaken you to the truth, but for many it will be incomprehensible and too much to take in. All we can say at this time is that it is wise for every soul to be open to new ideas and not become too set in your thinking. 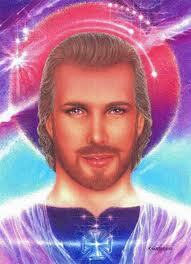 I am SaLuSa from Sirius and assure you of our help at all times. It will seem to many of you that the world is turning upside down, but this is not the case but simply the result of necessary changes that will gradually settle the Earth into a period of calm and peace. It is not only the physical aspects that are involved, but energies that continually move around it. Progress is still being made to bring you release from the many conditions and restrictions that have been placed upon you by the cabal. For the time being it suits our purpose to let certain restrictions remain, allowing us to work towards completely releasing you from their control. With our ability to see what is taking place we can keep one step ahead of the cabal and restrict the degree to which they can impose themselves upon you. For example in recent times many attempts have been made to start another world war. Each time we have blocked such attempts and will continue to do so. In fact we acted recently so as to stop the commencement of intended hostilities that would have led to another world war. Be assured that there is no way it would be allowed, and such commitment by us is a guarantee of eventual world peace. Over a long period of time covering many years, we have been able to make you feel secure because of the presence of our ships. Now there are few people that are unaware of us and view us as a threat to humankind. It has been our intention to gradually gain your confidence and trust for a many, many years, and overcome the image that has been projected to show us a threat to you. There is as a result so many of you who welcome the idea of contact with us, and accept our assurance that we come in peace. Indeed, we come as your brothers and sisters who have been linked with you through the ages, by a common interest in bringing Mankind the truth. Hitherto the sources that you have trusted have manipulated it in their own interests, to keep you under their control. The saddest aspect is that you have been held back in your evolution and understanding of who you are. Now the circumstances are different as you are being lifted up by the incoming energies, that are continually increasing in vibration. You are absorbing more Light and have an increasing ability to discern the truth. However, it also means that the gulf between you and those who refuse to contemplate it is growing wider. There is no need to be concerned about them, as all souls will eventually arrive at the truth in the ever ongoing journey that all souls make. Indeed, you are now urged to follow your own path, so as to be fully prepared for the enlightenment that is coming. As ever be discerning but also open to new information, as the revelations to come will open your eyes to much that has been deliberately withheld from you. The weather in many parts of the world is causing extremes to be experienced, and this is a prelude to more settled times. In the future, all people will experience more changes that will settle into a more moderate weather pattern without the extremes you are experiencing now. This all takes place because of the higher vibrations and eventually nothing will remain of the lower ones. There is much to look forward to and perhaps the most welcome aspect will be the cessation of war and warlike preparations. You will no doubt realise that a vast sum of money is invested in war, and the search for new and more terrifying weapons. Dear Ones do not worry, there will be a time coming when there will be an end to everything connected with wars. Defensive needs are another consideration and we have the Galactic Forces who will keep law and order. The times you are currently experiencing will begin to calm down, and you may have noticed that there is a new impetus for countries to seek peace. It is a struggle as the dark Ones try to hold onto their power, but it will be to no avail as the vibrations continue to lift up. You will find that there will be a new mood amongst those who are in the armed forces, as the futility of war is realised. Mankind is changing his outlook and peace is being sought after millennia of destruction and loss of life. Buildings can be re-built but the loss of a souls life has such repercussions on all of those connected with it. It has taken Man a long, long time to come to this realisation, and the future looks bright as peace on Earth becomes the new goal. Some ask why they are incarnate at such a time, feeling that they have no particular purpose. However, no soul is here without reason and whatever it may mean to the individual, all have something to learn or contribute. You are Beings capable of immense love and have a capacity for unconditional love of all souls. Once you have reached such a stage, you are truly a higher soul who understands the Oneness of all life, and that You Are All One. I am SaLuSa from Sirius and pleased once again to be able to address you. You are now opening up to the Truth and capable of understanding it, and more importantly applying to your everyday experiences. For some these end times are hectic and very trying, but it is the final clearing of karma accumulated over many lives. Be assured that you would not be is such a position unless you were capable of handling it. So accept your experiences with good heart, as they are your final tribulations in this dimension. You can therefore leave the old behind that has served its purpose, and indeed eventually only the higher vibrations will exist. Hitherto, the cycles have ended with massive Earth changes, so much so that little evidence has remained of earlier civilisations. However, now that necessary lessons have been learnt, the experiences have brought about the desired upliftment in the levels of consciousness. This was required to bring those souls who were ready to ascend, to a level where they could do so and complete their experiences in the lower vibrations. This is normal when a cycle reaches a stage of completion. Now Dear Ones you can focus on the future, and know that there are many changes to come that will prepare you for even higher levels of existence. It is only natural that you will wonder about the future of family and friends, and many of your groups will stay together for some time to come. If a member should go in a different direction it will be right for them, and they should be released with your love and blessings. However, as was pointed out in a previous message – the love link is a powerful bond between souls, that remains regardless of the distance that may separate you. As time progresses you will find that your energies have much more influence upon people around you than you imagined. It can of course be for better or worse, and soon you will learn to take full responsibility for them. If a collective of people take part in a healing meditation and have a single focus in mind, their power is increased many times. It is probably already known to you, but it has to be said that where healing is unsuccessful, it is not normally due to a failure of the Healers. It is other factors such as the karma of the soul who is receiving healing, so do not be dismayed if you are unsuccessful. Keep an open mind as the revelations come out, and intuitively you should be able to discard information that does not “feel right”. Trust your tried and tested sources of information and be wary of those that create fear, as that is not the way of the higher ones working for the Light. As you must be aware, the dark Ones have a large degree of freedom to carry out their agenda, as they also have freewill. However, they cannot successfully prevent the Light from permeating all levels, and this is why their success will always be limited.